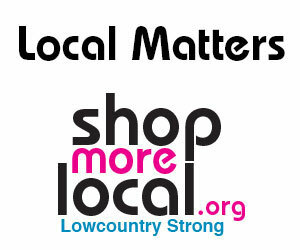 Community Foundation of the Lowcountry has awarded grants to Memory Matters and Second Helpings. Memory Matters received $120,590 over three years to help implement brain health programs. The grant will fund a brain health specialist position, along with covering other program expenses. A two-year, $36,882 grant will help Second Helpings fund a part-time coordinator in the Hilton Head and Bluffton area. The coordinator will build relationships with food partners and recipient agencies and manage volunteers, delivery routes, and relationships with grocery stores and food donors. For the first time in four years, the S.C. Department of Education released school report cards last month, rating nearly every public school across the state on a scale of excellent, good, average, below average or unsatisfactory for the 2017-18 school year. The report cards help hold district and school administrators accountable for student achievement, standardized test scores, English proficiency, high school graduation rates and other criteria. A new six-story hotel with rooftop bar and pool will open in the Coligny Beach by next fall. The Courtyard Marriott will include 115 rooms; the project is run by the Southeastern Development Association. The Deep Well Project needs donations of new and gently used children’s winter coats in sizes 14-16. Drop off coats at 80 Capital Drive on Hilton Head Island. For more information, call 843-785-2849. 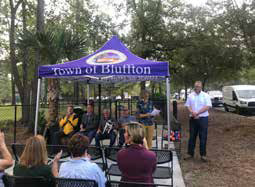 The Rotary Club of Hilton Head Island has launched a collaboration with the Hilton Head Island Bicycle Advisory Committee to provide bike safety kits to islanders who bike to work. Each kit contains a reflective vest, bike reflectors, reflecting strips and a card with safety tips. The project was spearheaded by Rotary member Jim Deas and the Rotary Club, which provided funding to purchase the safety vests, and Frank Babel and Mike Hills of the Hilton Head Island Bicycle Advisory Committee. Kits will be made available to local restaurants and hotels, as well as churches and organizations like The Deep Well Project and Volunteers in Medicine, whose clients might depend on their bikes for transportation. The All Saints Episcopal Church Garden Tour has awarded grants to the Antioch Educational Center, Backpack Buddies of Bluffton, Backpack Buddies of Hilton Head, Hilton Head Safe Harbour and St. Stephens’s United Methodist Church Outreach Foodbank. Net proceeds from the annual All Saints Garden Tours are donated to charities that focus on hunger, homelessness, literacy or aging with budgets of less than $650,000 in Beaufort and Jasper counties. The 32nd annual garden tour is scheduled for May 18. The Long Cove Club Charitable Advisory Committee is accepting applications starting January 15 for grants that to nonprofit organizations in Beaufort and Jasper Counties. To be considered, organizations should have plans for a project to improve health, housing, hunger or educational issues. The deadline for applications is March 31.For more information contact Jordan Potter at jpotter@longcoveclub.com, call 843- 686-1070 or go to www.longcoveclub.com. 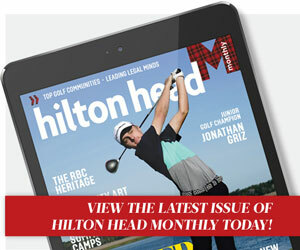 For years, Hilton Head Island has repeatedly been named as one of the best island destinations in the world, earning praise for its world-class resorts, amenities and service. Before gated communities dominated the landscape of Hilton Head Island, close-knit communities of native islanders defined this paradise. 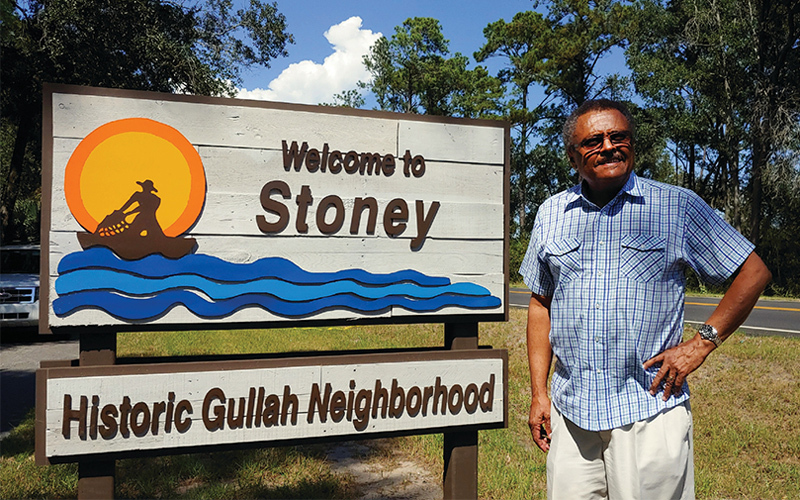 Only the people who lived in them, mostly on family-owned land in the middle and northern parts of the island, knew the boundaries of their neighborhoods: Big Stoney, Little Stoney, Squire Pope, Jarvis, Jonesville, Spanish Wells, Gardner, Marshland, Chaplin, Grassland, Big Hill, Baygall and Mitchelville. 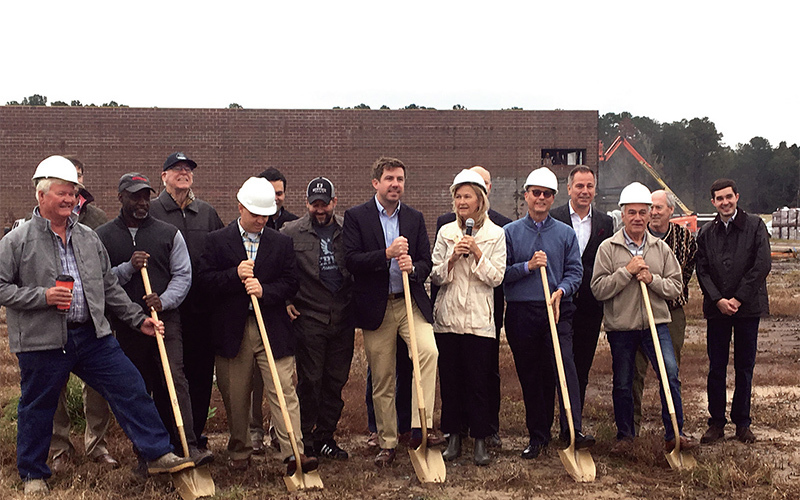 The Don Ryan Center for Innovation broke ground Nov. 14 on its new facility in Buckwalter Place Commerce Park. 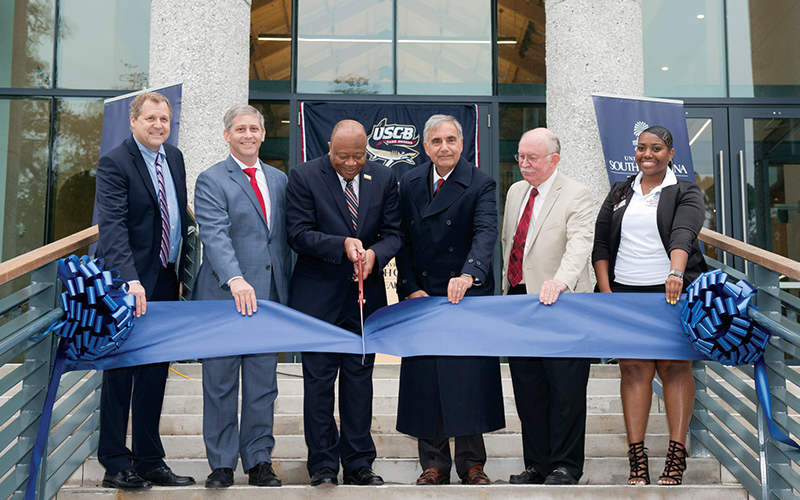 The center’s mission is to build a business-friendly community for entrepreneurs and attract core target industries. The facility will house the DRCI business incubator, offer high tech co-working and meeting space, and serve as the Town of Bluffton’s economic development headquarters. Buckwalter Place Commerce Park includes eviCore Healthcare, Southeastern Development, Regency Centers, St. Joseph Candler, and Technical College of the Lowcountry Culinary Arts. The Don Ryan Center building will be adjacent to the new Kroger Market Place, which is under construction now. A Shipyard Plantation resident was napping at home when a fire started at the condominium complex. 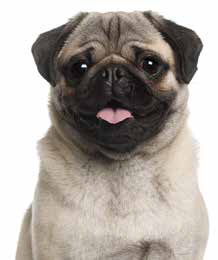 The resident’s pet pug woke up the owner to alert them of the fire and they escaped the building. The resident was admitted to the hospital for smoke inhalation. Three condominium units were damaged, but no one was injured. British Airways will begin nonstop flights between London and Charleston International Airport beginning in April. The direct flights to London’s Heathrow Airport will leave from Charleston twice a week until October. Officials estimate the economic impact generated by the new flights could exceed $20 million annually in tourism. The flights will use the Boeing 787-8 Dreamliner and offer free baggage allowances, complimentary meals and bar service, plus on-demand movies to 214 passengers per flight. Island airport offers direct flight to Washington, D.C.
American Airlines will begin direct flights between Hilton Head Island Airport and Washington, D.C.’s Reagan National Airport in May. The announcement comes less than a month after United Airlines announced it would begin service between Washington, D.C., and Hilton Head in March. The United flights will operate in and out of Washington Dulles International Airport two times a day. In a Facebook post, the airport said the new American flights are “in part due to a runway extension that was completed in June” to accommodate larger jets. After 11-year-old Charli Bobinchuck was hit by a car and killed in a crosswalk in June, concerns have been raised about safety on Hilton Head Island roads. Her father, Bryan Bobinchuck, has asked members of Hilton Head Island Town Council to make the area’s crosswalks safer by adding road signs that would flash at drivers when a pedestrian or bicyclist crosses the street. Residents have raised concerns in the past about adding any sort of light to the roads, as it could threaten wildlife. The Bobinchuck family is adamant that while protecting wildlife is important, the safety of island residents and visitors is equally important. An agreement between the Beaufort County Sheriff’s Office and the Bluffton Police Department was approved by Bluffton Town Council in November, which allows Bluffton police to make arrests or give out tickets on the May River. The Marine Patrol Memorandum of Understanding gives Bluffton officers all powers and authority of law enforcement in waters adjacent to the town, which were previously considered out of their jurisdiction. Those waters include the May River, New River, Cauley’s Creek and parts of the Cooper River.